Kenya is wearing a vintage zipper jacket, a dark sweater over a purple turtleneck top, black work pants, Vans sneakers and a Gucci sling bag. He likes to listen to the music of Queen. Kenya is active on Twitter and Instagram, follow him! 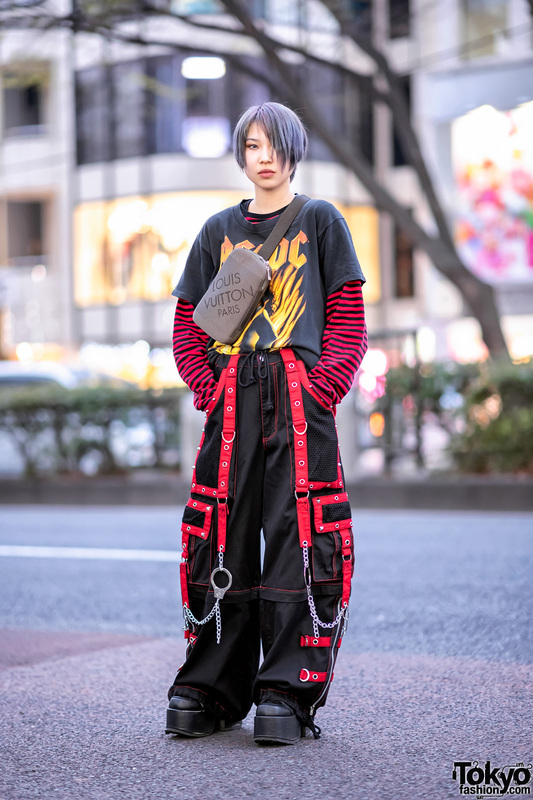 Next is Kaisei – sporting dreadlicks – who is wearing a dark blue Roberto Cavalli coat, black pants, Nike Air Max Plus sneakers, and a red Places + Faces sling bag. His accessories include a Gucci watch and Fred Perry gloves. 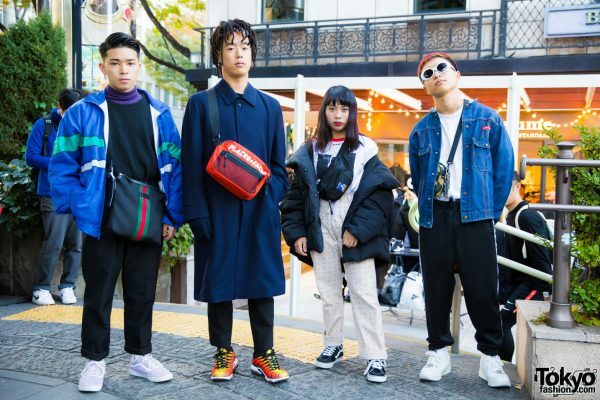 Kaisei’s favorite brand is Gucci and he listens to Joey Badass. Follow him on Twitter. Melody’s outfit features a black puffer jacket from H&M over a white t-shirt and printed pants, both from MCM. Supreme socks, Vans sneakers, and a black vintage belt bag complete her outfit. Gosha Rubchinskiy is Melody’s favorite designer brand and she listens to Gucci Gang by Lil Pump. She is active on Instagram. 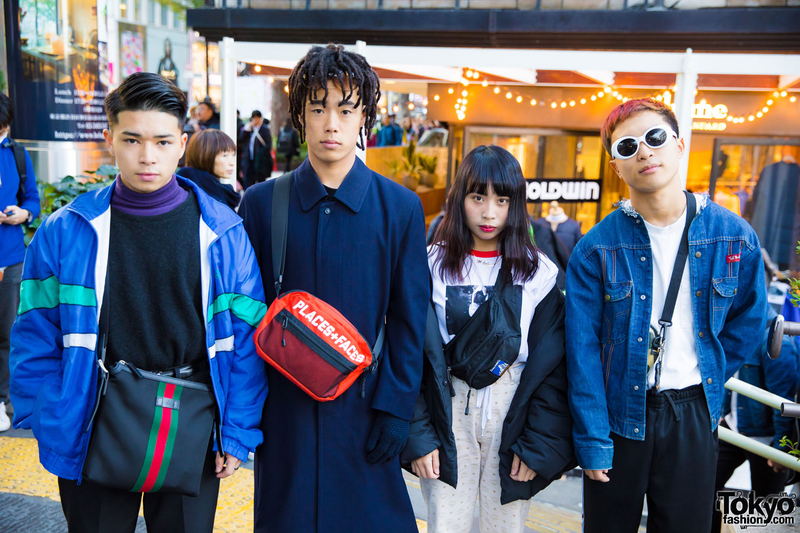 And at the right, Sasa’s ensemble consists of a denim jacket with frayed collar, a white t-shirt, track pants from A Bathing Ape, white sneakers and a camo print sling bag, both of which are also from A Bathing Ape. He accessorized with white sunglasses. His favorite music artist is Ariana Grande. Follow Sasa on Instagram.